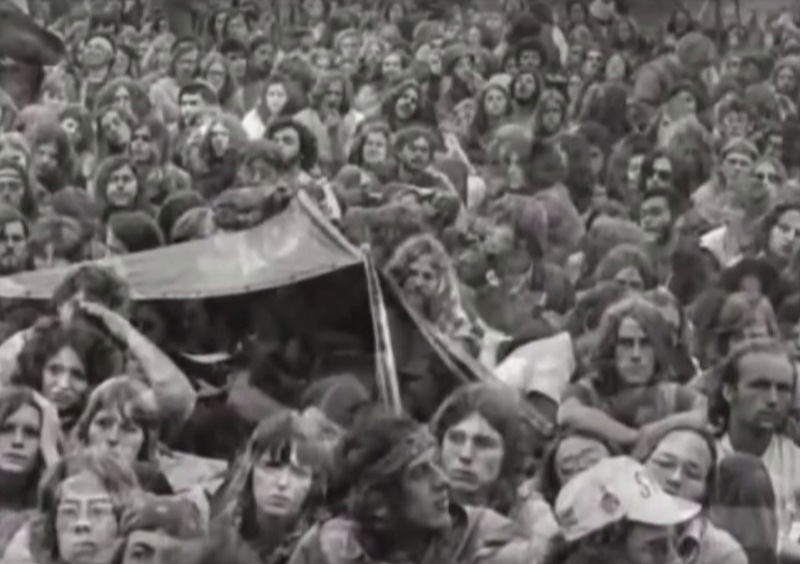 After Woodstock 1969 brought festival and hippie culture under the bright lights, entrepreneurs-turned-promoters around the world jumped to recreate the magic of the Summer of Love. 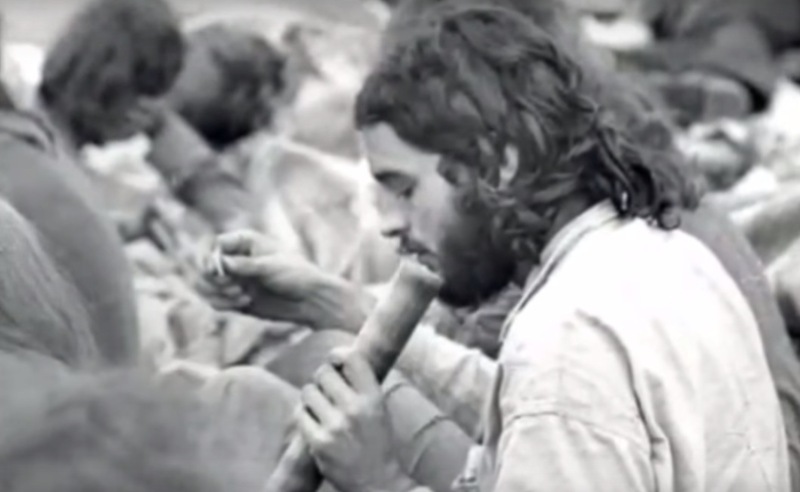 The lineup accrued was a blockbuster collection of artists including Black Sabbath, The Allman Brothers, Fleetwood Mac, Ravi Shankar, The Eagles, and even Cheech and Chong. The fervor around the event was such that, long before Labor Day, the estimated attendance swelled into the hundreds of thousands. This became a problem for locals, who aggressively lobbied against the festival. On August 31st, less than a week prior to Labor Day, Evansville mayor Russell Lloyd banned the event from taking place. With ads taken out in Rolling Stone magazine and hundreds of thousands spent, the organizers scrambled to find a new location as major acts like Rod Stewart and Black Sabbath began to cancel. They found one, just in time, on a plot of farmland named Bull Island. 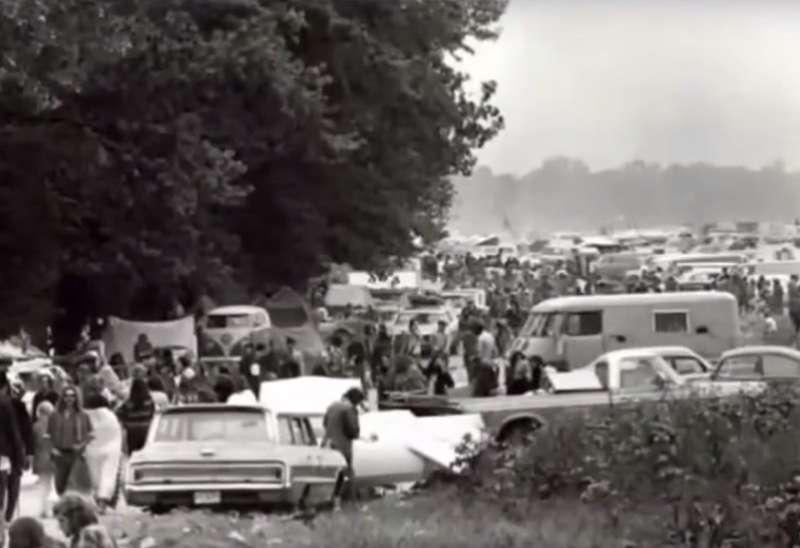 Not in fact an island, but rather a collection of swampy fields, the festival grounds were situated on a changing bend east of the Wabash River. Once part of Indiana, a technicality rendered Bull Island under the legal jurisdiction of the town of Carmi, Illinois, but only accessible through Indiana. It was, in a word, a lawless space. 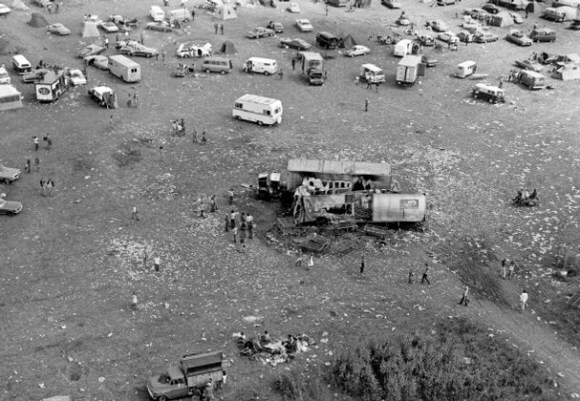 On Labor Day weekend, 200,000 youths, quadrupled what was planned for, poured into the only two roads that led to the festival grounds, causing a backup that lasted almost thirty miles. This impeded the arrival of supplies, law enforcement, and partiers alike. Kids began abandoning their vehicles and walking to the grounds on foot for miles and miles. 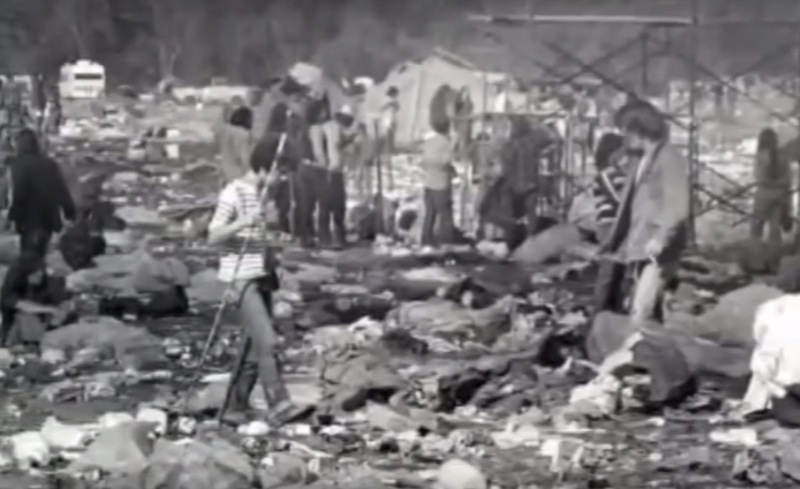 Countless opportunistic bunkers waded into the festival grounds from the adjacent swamplands to find already overcrowded fields as far as the eye could see, with little-to-no sanitation infrastructure and dwindling food supplies. Things were bad from the beginning, but rampant act cancellations left long periods of silence on stage, while vendors began to gouge prices and an uneasy haze settled into the air. Many accounts of the weekend comment on the level of open drug use at the festival. Dealers became impromptu vendors on a dirt path at the back of the grounds, setting up stands hawking everything from marijuana to mescaline, Quaaludes and heroin. "I never saw so many drugs in my life," attendee Ray Kessler said to the Mount Vernon Democrat. “The dope district looked like double rows of fish stands at the county fair!” notes an attendee named Dennis. “There were rows of big, old-style washtubs full of sugar cubes, with a sign stuck in saying “25c a hit.” It wasn’t all good vibes and wavy gravy, though. Much of the acid for sale was laced with strychnine. Festival organizers took to the speaker system to warn revelers to avoid it. Even worse, numerous accounts note that malintent peddlers in the dope district sold bleach posed as any number of substances. The sanitation situation was just as chaotic. “The promoters had planned to drill thirty to forty wells and create around four hundred outdoor toilets,” states Mof Giffard of Anorak. “What punters ended up with were a few stagnant or dry wells and six privies.” As the rain turned the festival grounds into a muddy slurry, revelers dubbed a particular pasture “The Turd Fields,” and relieved themselves in the slop en masse. By day two, the food supply had dwindled and the frustrated crowd boiled over as prices soared. One account states that vendors charged $10 for a hamburger, $57 in today’s currency. It was in this environment that the fans turned on the vendors. The performances that did go through are remembered fondly. 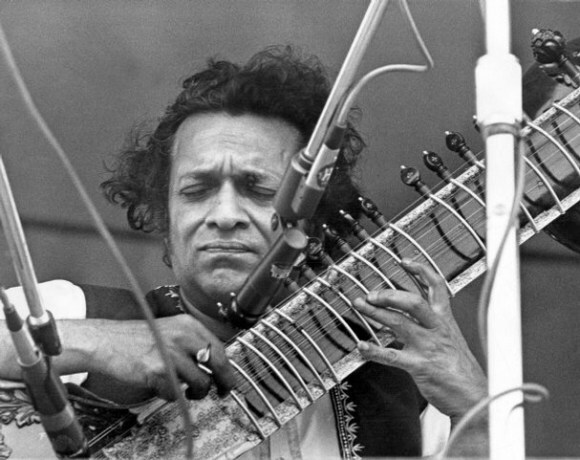 Ravi Shankar rode atop the crowd on a wooden pallet, while Ted Nugent’s Amboy Dukes and Black Oak Arkansas are often mentioned as standout sets. Cheech and Chong were helicoptered in, performed for fifteen minutes in a deluge of rain, cut their set short, and were swiftly helicoptered back out. The Wabash River turned into the world’s largest tub as thousands took to the river to undress, wash off, and skinny dip. Many attendees were still in their teens, and the combination of skin and substances resulted in coming-of-age tales en masse. “It rained, we tripped. I saw my first boobies and needles there,” remembers one reveler. Most accounts paint the festival with a twinkling sense of nostalgia, even those who bore the brunt of its descent into anarchy. Attendee Linda Gray recalls being run over by a truck as she slept in a makeshift campsite. With broken ribs and crushed vertebrae, she was transported to the hospital in the back of a jeep after helicopters found themselves blocked out by bad weather. She notes that Cheech and Chong referred to her as “the chick who got run over” during their performance. One attendee tells a story of being mugged at gunpoint by three “smack freaks.” In his words: “They went through my pockets and got pissed when they found them empty. The one on my right hit me in the head and I slammed back into the car and fell to my left side.” Saved by his “future brother-in-law,” the victim and his friends giggled about their adventure the whole ride home. For some partygoers, there would be no ride home. One youth drowned in the Wabash River at the festival as the third day brought “biblical” rains, and another fell to a drug overdose. By the third evening, the crowd had endured enough. The lasting image many have of the festival is the crowd setting the stage on fire. It was a fitting ending. 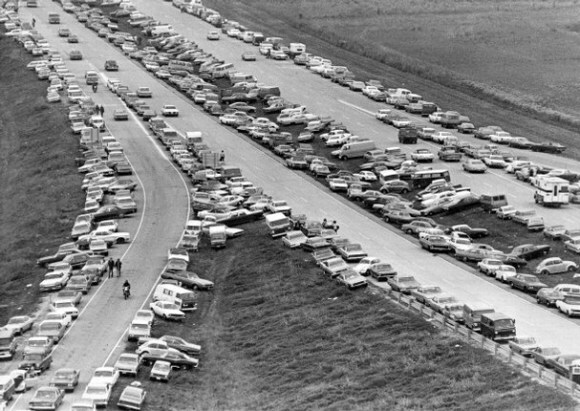 By this point, the populous turned to mass exodus, during which commons themes were intoxication, breakdowns, theft, long drives, and comedowns. Almost all accounts of the festival note that, despite everything that went wrong, Bull Island remains a cherished memory, a reminder of a time when life was still wild enough to go this horribly wrong. 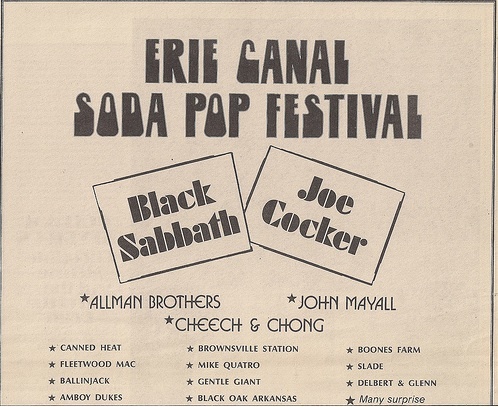 But the Erie Canal “Soda” Pop Festival will always be known for turning the summer of love into a weekend of discontent. You can still find beer bottles under the mud out on Bull Island. Only a faint reminder remains of what is a cautionary tale to promoters and partiers alike. The crowd at the festival that weekend were as responsible for their wrongdoings, despite the ineptitude of the promoters. The lesson here is that today’s festivals must foster a deeper concern for humanity, from promoters to vendors to fans. Festival promoter Bob Alexander was bullish in retrospect, though: "It had the possibility of being one of the greatest festivals ever in America because of the lineup we had booked. But I'm still very proud of the show that we had put together to present to the people,” Alexander told the Evansville Courier Press. “I think that the mere fact that we're talking about this 40 years later says something about it as a major cultural event that happened in Middle America," he says. "You know, I'd love to try it again, in the same location."